Looking for the perfect size shipping container for your needs? 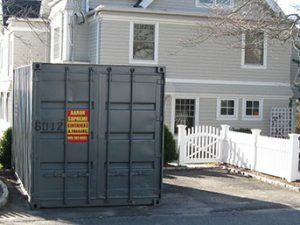 We specialize in renting and selling high-security storage containers delivered to the location of your choice. We offer a variety of 20 ft shipping containers, which are considered the industry standard. They’re typically 20 feet long and 8’6” high on the exterior, featuring 14-gauge corrugated steel panels with lockable doors. 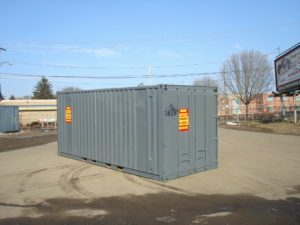 The 20ft shipping container is ideal for portable job site storage and commercial storage solutions, with the ability to fit in a single parking space, and transported and delivered on a maneuverable vehicle. Aaron Supreme has used, refurbished and new storage containers available. Whether you need a 20 ft storage container for a temporary situation or a long-term one, our rates can fit your budget. For efficiency and profitability, we can help you select the best option for your needs, and would be happy to meet with you at your location to discuss a solution. To find out more about our 20 ft storage containers, please contact us at 800-243-0403, available Monday through Friday from 7:30 a.m. to 5:30 p.m. EST. Or, you can email us at sales@aaronsupreme.com.